, a little over a month ago and I’m writing to recommend this book to you. The entrepreneur’s entrepreneur is back with his 10th book, this time tackling the tricky art of influence and persuasion. 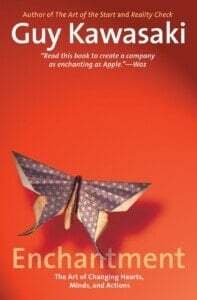 Kawasaki (Reality Check: The Irreverent Guide to Outsmarting, Outmanaging and Outmarketing Your Competition, 2011, etc.) transforms the otherwise exhausted and overwrought tropes of how to win friends and influence people with a complete makeover here, whether he’s talking about wardrobe choice or tips for effective swearing. The author, a modern-day Dale Carnegie, offers explanations on how to wield the most influence in the digital age: Push Technologies like presentations, e-mails and Twitter are discussed as active means of enchanting others, while Pull Technologies like Facebook, YouTube and LinkedIn passively draw them in. The author’s suggestions for achieving likeability and trustworthiness, as well as overcoming resistance, are thoroughly explained and can easily translate from the workplace to the real world. deals with how to be successful in human interactions – a skill ever educator will find valuable whether dealing with students, parents, alumni, prospective parents, faculty, staff, administrators, or the local sscommunity. At a more granular level, Guy offers a blueprint for dealing with more specific job functions helping you persuade, market, and tell your story. 2. As I consume more and more information in the form of books, blog posts, webinars, and tweets, I find that I enjoy articles that deal less with theory and more with action. While I realize that a certain amount of theory is necessary to understand the action, the author that is able to achieve the proper balance between the two is more enjoyable and efficient to me. Guy is one of those authors! His writing is clear and direct and he does a great job of offering just enough theory to help you understand the action. Actually, many of his points are so clear that he doesn’t have to offer any theory for them. is about action and Guy offers plenty of it. This book is a how to and while it should initially be read in chapter sequence I’ve already found myself re-reading certain individual chapters as a reference. In the end, you can begin putting Guy’s advice into action as soon as you put the book down. I thought he would be a great person to highlight at edSocialMedia. I followed his advice concerning the use of email and requested an email interview. In less than one day Guy emailed me back and agreed to the interview. Wow! A man who follows his own advice…and in my opinion, advice worth reading. and let me know your opinions in the comments below. @TMcDonough1973 Thanks Tim! Let me know what you think about you check out the book. 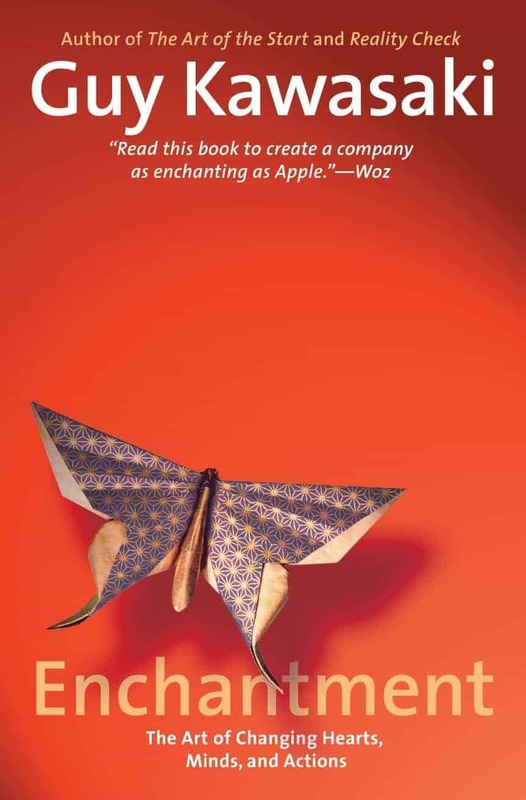 Great review; I just heard Guy Kawasaki speak at a conference last week and he was one of the best speakers I’ve ever heard – now I really want to read Enchantment.